Two reports released Tuesday urge LA Unified to start making tough choices to boost student achievement and to move faster in delivering more funds to the schools serving the neediest students. The first study found that LA Unified has been slow to get increased state funding to the schools serving students with the highest needs, particularly in elementary and middle schools. The fourth annual “Report Card Progress in Los Angeles Schools: Rigor, Fairness, and Engaging Families,” released by United Way Greater Los Angeles and UC Berkeley, indicates that district officials may not be meeting their legal obligation in allocating the money generated for that purpose. After four years of state legislation that shifts billions of dollars to students with the highest needs, LA Unified “has taken just tiny steps in funding needy schools” and lacks a plan to change that, the study says. “We continue to see little fairness in how LAUSD distributes dollars to schools, ignoring whether they serve high or low shares of low-income children,” said Bruce Fuller, UC Berkeley professor and the study’s director. Also Tuesday, the LA Unified School District Advisory Task Force released its fourth report, titled “Hard Choices,” which also calls on the district to create a budget focused on students’ needs rather than just balancing numbers, and with real input from the community. The task force presented its report at Tuesday afternoon’s school board meeting. “There are hard choices ahead, and the intention of the report is to be truth-tellers, raise the tough questions about how the district will develop a long-term plan that outlines investments, not just about dollars and cents but about impact on students’ learning,” task force co-chair Wendy Greuel said. The volunteer and independent task force examined student learning, workforce, and equity in funding in light of the financial crisis faced by the district, which could lead to bankruptcy in the next two years, even with this year’s $548-million surplus. But Greuel says that can be addressed at the same time the district makes strategic and intentional decisions to improve student academic performance. “The district will have a deficit of $400 million by school year 2020-21, so we cannot wait to address that issue because we know we don’t see an increase of the revenue and the LCFF (the state’s Local Control Funding Formula) is not projected to increase going forward,” Greuel said Monday during a media conference call. The task force’s report was conducted in collaboration with data analysis organization Education Resource Strategies, which developed comparative data analyses from other districts including Oakland and Denver, which can inform LA Unified on how to allocate money where the impact can be greater, like early instruction and literacy, and professional development for teachers and school administrators. Joe McKown, a partner at Education Resource Strategies, told board members Tuesday that their research found that LA Unified’s benefits investments are high compared to other districts, that the criteria for those increases don’t necessarily reinforce district strategies, the school day is short in comparison to other districts, teachers have less time for collaboration as professionals, and the district invests more in administration. The report recommends doubling the current investment in English and math instruction and literacy for specific grades such as third grade, as research shows that third-grade reading proficiency is crucial for continued academic success. It also recommended more overall investment in instruction for all grades including transitional kindergarten and in after-school and sports programs. The task force’s goal, said Janelle Erickson, its executive director, is that the board considers the findings and the data in the report to generate more transparency on the budget by connecting allocation of resources to how that can impact student achievement. After the presentation, LA Unified Superintendent Austin Beutner welcomed the recommendations and said he expects the board to reconvene in September with a plan. Beutner was co-chair of the task force before being elected superintendent last month. Tuesday was Beutner’s first board meeting. Beutner echoed Greuel, who said warnings to the district about its eroding finances have been presented multiple times since 2004. “The rate of increase for health care costs has exceeded the increase of revenues for this district for 20 years,” he said. 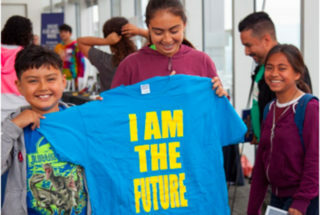 According to the United Way study, LA Unified each year receives about $1 billion in new funding under the Local Control Funding Formula legislation to support disadvantaged students, including those living in poverty, in the foster care system, and English learners, but the district spreads funding evenly among low-income and middle-class schools, which is not aligned with the state’s goal of closing racial and economic disparities in student achievement. The fourth annual report card of how LA Unified implements school finance and related reforms was developed by United Way along with the 70-group Communities for Los Angeles School Success coalition (CLASS). What was highlighted as positive is how LA Unified has been directing the most dollars per pupil to high schools serving large concentrations of disadvantaged students, enabling more of these students to access the A-G college prep courses. “Wider access to A-G courses, encouraging students to pursue college, has boosted graduation rates,” said Jeanne Fauci, executive director of the Center for Powerful Public Schools, a member of CLASS. But overall, the concern remains as the outcomes don’t reflect the increase in per-pupil spending. LA Unified student proficiency rates on state tests had almost no increase for the past two years. Last year’s test results showed that less than half — 40 percent — of them met or exceeded standards in English language arts. Only 30 percent did so in math. The district’s per-pupil budget has climbed from about $9,400 in the year before the 2008 recession to $13,200 in inflation-adjusted dollars, a 40 percent jump in total spending, according to the study. In order to better serve families with quality and equitable services, the United Way study recommends the district focus in three areas: create support and interventions to underserved students, target dollars in elementary and middle schools in historically underserved communities, and work closely with parents and school site leaders to shape school-level budgets.